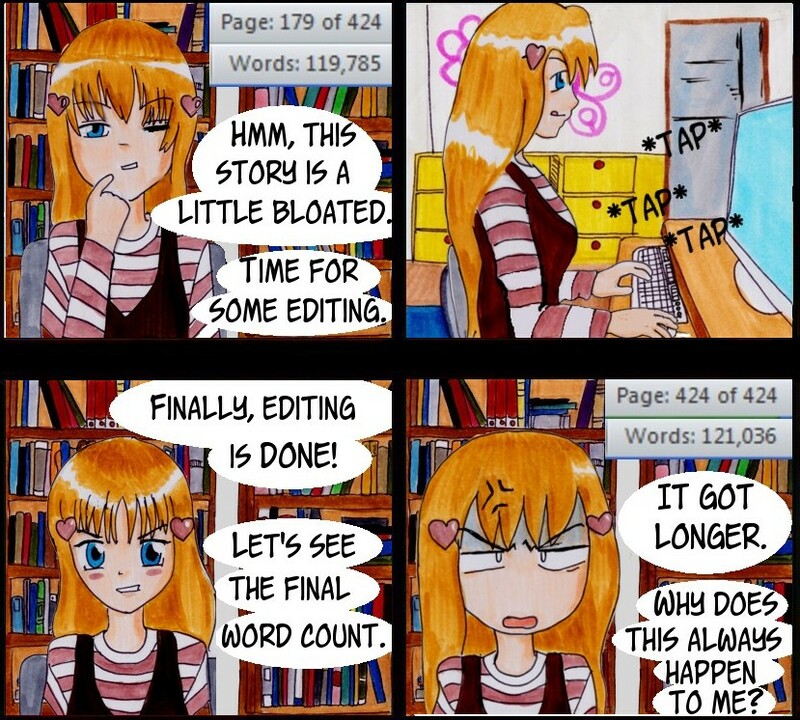 “Editing” doesn’t necessarily mean “trimming,” I know, but every time I set out to make the dang thing shorter it seems to laugh in my face. . . .
Don’t ask me how I managed to get such drastically different word counts while keeping the same page count. That’s an actual screen capture.